April may have just started, but General Motors is already looking ahead to Memorial Day weekend. 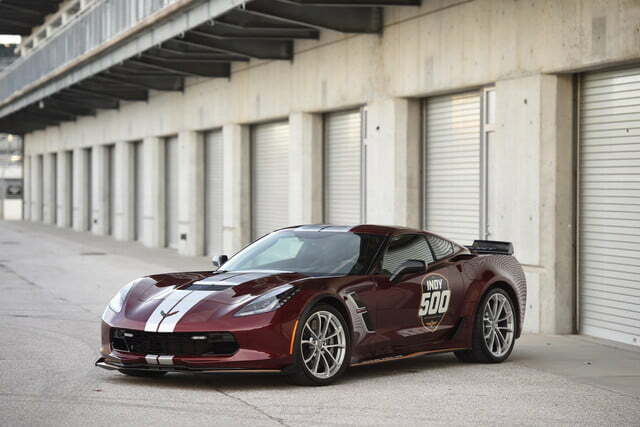 The Detroit automaker revealed the 2019 Chevrolet Corvette Grand Sport that will pace the Indianapolis 500 for the 103rd running of the legendary race. The green flag drops May 26. The pace car leads the field of 33 race cars on a parade lap ahead of the start of the race, and gathers up the field during so-called “caution” periods, where racing is suspended due to dangers on the track, but cars are allowed to continue driving at a reduced speed. 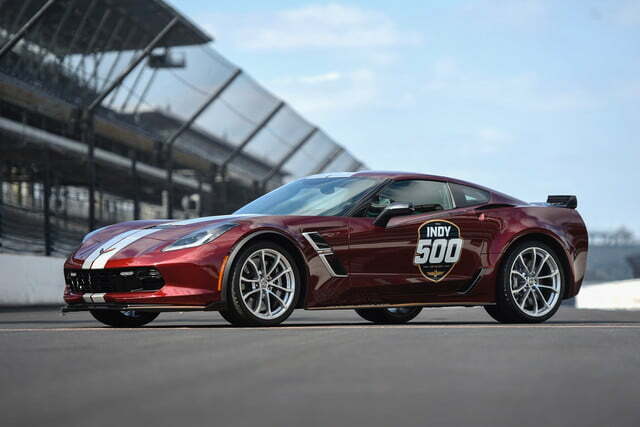 The choice of a Corvette isn’t exactly original: this will be the 16th time the sports car has paced the Indy 500, and the 30th time a Chevy has served as pace car. 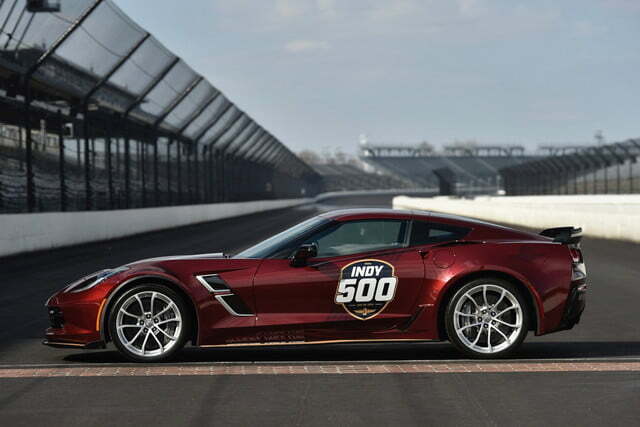 The Corvette that will pace the 2019 Indy 500 is a Grand Sport model. Its 6.2-liter V8 produces 460 horsepower and 465 pound-feet of torque, which is sent to the rear wheels through an eight-speed automatic transmission (Chevy also offers a seven-speed manual to customers). The Grand Sport also features aerodynamic and chassis upgrades from the Corvette Z06, giving it unflappable handling qualities. The car will do zero to 60 mph in 3.6 seconds, according to Chevy. Chevy has a long history of racing in the Indy 500. Chevy-powered cars have won the race 10 times, with famous drivers such as Emerson Fittipaldi and Will Power. Along with Honda, Chevy is one of just two engine suppliers for the NTT IndyCar Series, the race series that include the Indy 500. 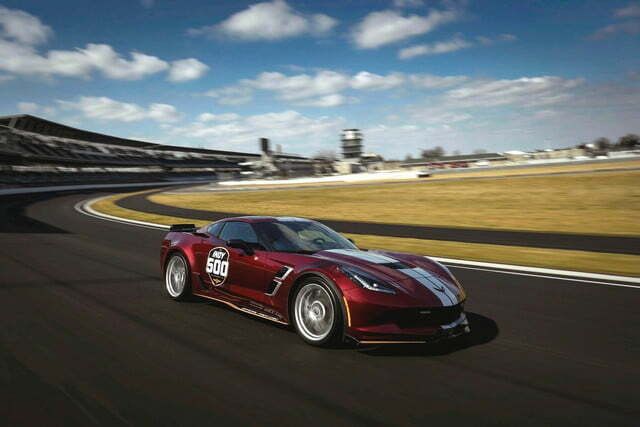 With this year’s Corvette pace car, Chevy has extra motivation for a victory over Honda. The 2019 Indianapolis 500 will air live on NBC, with the pre-race show starting at 11:00 a.m. ET May 26. IndyCar Radio will also have live coverage on SiriusXM (Sirius channel 216, XM channel 209), indycar.com, indycarradio.com, and the IndyCar app. Indy may be one of the current-generation Corvette’s last moments in the spotlight. Chevy is expected to replace it with a radically different mid-engined model soon. All production Corvettes have had their engines in front of the driver, but a mid-engined layout offers better weight distribution, which helps improve handling. That’s why Ferrari and Lamborghini build cars with the engine in the middle. It will break with tradition, but the change could take the Corvette to a whole new level of performance.